What Are The Easiest Dog Breeds To Train? 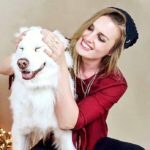 After having made the decision to bring a new dog into the family, it is time to decide what type of dog you want to get! 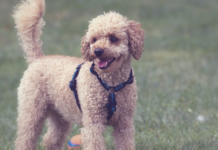 There are hundreds of dog breeds to choose from, and it is important to sit down and think about what you can offer your new dog in terms of exercise and activities, and what you will want to do together with your dog. 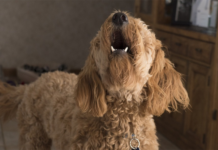 If training and obedience are topping the list of what you hope to engage in with your new friend, then you might want to consider a dog breed known for their ability- and eagerness to learn. Some breeds tend to be more willing to train than others and to learn faster and with more ease than other dog breeds. Choosing a breed that is easy to train won’t guarantee that your individual dog will be easy to train, since all dogs are different, but you will at least have the odds (and genetics) on your side. The breeds below are known for being very trainable, and the rest is up to you. Seek guidance from experienced dog trainers, attend dog obedience classes or turn to YouTube, which is full of great instructional videos! Most importantly – have fun with your dog and try to turn every training session into something rewarding for the two of you. The Border Collie is a highly active, agile and intelligent dog, originally bred to heard and work alongside their human companion. They are often seen in agility contests (often as the winner), in professional obedience competitions as top contenders in other dog sports, which is no surprise considering how physically and mentally apt they are to take on- and dominate a challenge. While the Border Collie learns with ease and has the intelligence and the capacity to understand and carry out desired behaviors fast, they do require a trainer who knows what they are doing, since they can otherwise pick up bad habits just as fast. 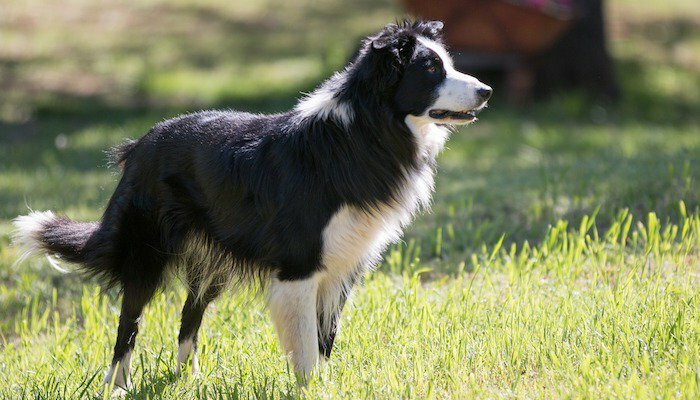 Border Collies are considered one of the most intelligent dog breeds in the world, and they are remarkably quick and avid learners when paired up with the right person. However, the Border Collie has a will of its own and a high demand for challenging tasks and is not considered an ideal breed for beginners or for those without dog owner experience. Corgis, or Pembroke Welsh Corgi which is their full name, are adorable and short-legged little dogs that can win the heart of pretty much anyone they cross paths with! They are Queen Elizabeth of England’s favorite dog breed, and they are full of pride and confidence despite their small size. The Corgi is originally a working dog, something that shows in their determination and ability to focus on difficult tasks. They are problem-solvers and fast learners, and they will often surprise their owners by picking up new things in a matter of minutes, but they need a steady hand since they are smart enough to test boundaries just to see what they can get away with. The Corgi is what they call a big dog in a small package, and they often seem completely clueless to their own size. Perhaps it is the confidence they have in themselves that make them take on any task with such enthusiasm and fortitude because there is almost nothing the Welsh Corgi can’t do once they set their minds to it, along with receiving proper guidance from their owner or trainer. The Corgi is a great choice for a family or an individual who is looking for a small and friendly dog that is also highly trainable. An impressive amount of energy fits into the small body of a Shetland Sheepdog – Sheltie, for short, and they are active, vocal and unbelievably intelligent dogs. They are known for being very loyal to their owners (so to the point that they follow you around, no matter where you go), which comes in handy when training and learning new things. Trust is important with a Shetland Sheepdog, but as long as it is there – the possibilities when it comes to training are endless. The Sheltie responds very well to a calm and assertive trainer; someone who is gentle in their ways and patient, since the Sheltie is known for being a sensitive dog. Yelling or demanding won’t get you far, but for the person who is willing to spend time building up the Sheltie’s self-esteem and confidence – there is nothing that dog won’t do for you when it comes to tricks and obedience. Their intelligence allows them to learn both easily and fast, and they often exceed in obedience competitions and canine sports like Agility and Freestyle. This working breed is known for their dedication to their given tasks, for their ability to learn and for never quitting, provided they are being treated fairly. The Labrador Retriever is one of the most popular dog breeds in the United States and often seen used as guide dogs, service dogs, search-and-rescue, police dogs and much more. This has a lot to do with how trainable they are, and with their capacity to learn and remember new tricks and behaviors. The Labrador Retriever is extremely food motivated, which means that they will do almost anything for a treat – something that can be taken advantage of when training. Use positive reinforcement, treats and plenty of patience, and you will see how your Labrador Retriever puppy will quickly become the ultimate family member and training companion. Few dog breeds are as focused as the Labrador, while also being a friendly dog with all the personality traits to make the perfect family member. They do great with children and will enjoy training and learning with any family member regardless of age. With a Labrador Retriever, the best results are achieved if beginning training while the dog is still a puppy, but adult- and senior dogs that have not been previously trained also tend to do very well once put to the test. Never underestimate a Labrador Retriever – they are always up for a challenge! The versatility of the Golden Retriever is one of the key reasons to why it continues to be one of the most popular dog breeds in the world, and their loving personality along with their intelligence and learning ability makes them ideal for an active family life with the occasional training session. They learn fast, remember what they’ve learned forever, they are eager to please and highly responsive to positive reinforcements and appreciation. Their attention span is also longer compared to many other dog breeds, as well as their patience and never-ending enthusiasm. The Golden Retriever is happy when his owner is happy and will do everything possible in his strive to please and obey. With a Golden Retriever, you get loyalty as you have never experienced it before; a best friend who will love to spend hours training and learning alongside you. Spending time with their family is what the Golden Retriever likes the best, so if you keep the training sessions fun and engaging – the Golden Retriever is likely to see that extra time spent with you as a reward for good behavior. Keep your pup happy with the right dog food for Golden Retrievers. 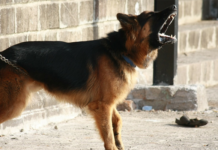 A well-trained German Shepherd is like a canine machine that will not stop until they complete the task they were given, and they are physically strong as well as smart enough to be challenged in their training. They want to learn, and the stubbornness of the breed helps them push forward and do better every time, and the more they feel that you appreciate their efforts – the more successful will they be in terms of learning and improving. It is in a German Shepherd’s genes to follow direction and to carry out different tasks, and they feel good having a job to do or knowing that they are successfully doing what you (their owner) want them to do. German Shepherds should be trained already from an early age since they are high-energy dogs with plenty of drive and need for physical- and mental activation. 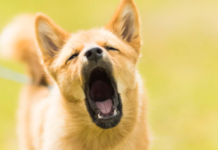 A bored or untrained German Shepherd can easily become frustrated, which can bring out unwanted behaviors like barking, digging, chewing and more. This is a very large dog breed, and it is important to teach them what they can do and what they can’t do, both for your own sake and for theirs. They learn fast and are not difficult to train, but they do require a firm hand and consistency in their training, along with plenty of positive reinforcement and rewards. Need to feed your GSD? 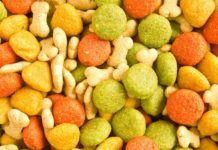 Try this food for German Shepherd dogs! Being honest with yourself when going through the process of choosing a dog is important; because just because a dog breed is considered easy to train, it does not mean that every person will be able to successfully train them. With this in mind, the German Shepherd is not a dog breed for the novice dog owner, as they do best with someone who knows how to help them reach their full potential.